Under cover of the bombardment, the Germans blew gaps in the wire and cleared paths through the minefield. By the following morning, they had established a hole through the outer defences a mile and a half wide and taken more than 100 prisoners. Their charismatic leader, the dynamic Erwin Rommel, the Desert Fox, was the most highly respected German general of World War II. 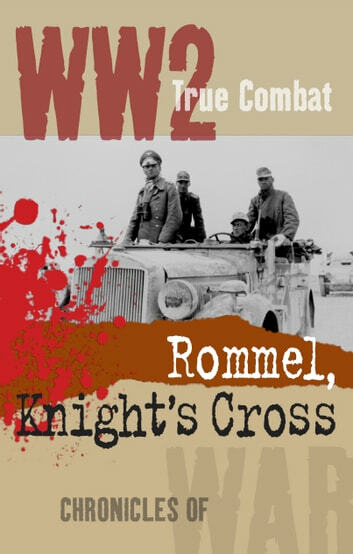 Read about the daring exploits of General Erwin Rommel during World Wars I and II in this tale of True Combat. 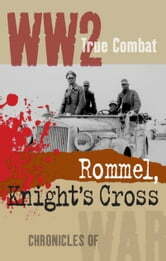 An account filled with the courage of war, and interwoven with first hand experiences that take you into the heart of battle. This book is a good, although somewhat light, overview of Field Marshal Rommel's career. He is revealed as a true man of action bravely taking the attack to the enemy whenever possible. His concern for the well being of his troops and of prisoners of war is barely touched upon. This book whets the appetite for a more in depth review. This book is a very pleasant reading, but it's mainly a high-level summary of Romel's career focusing primarily on North Africa, and Normandy. I've been expecting more depth in analysing his personality, and tactics. It touched on his strategic outlook on a couple of places, but did not delve into the discussion about Romel strategic abilities.